Yes, there is a statute of limitations in California for DUI. If you are arrested for DWI in our state, a prosecutor will typically file the charge before you appear for your first court date. If the prosecutor has not filed the charge at that time, you may be told that you will be notified by mail to return to court at a later date. 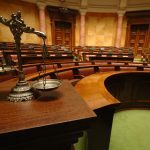 In some circumstances, a prosecutor may not file a charge because he or she is awaiting the result of a blood test, because there is some other wrinkle or legal detail to be worked out, or because the prosecutor’s office is simply backed up and falling behind. In these cases, a lot of people merely do nothing and hope the prosecutor will forget about the charge; that seldom happens. Instead, this is precisely the time when you should be talking to a good DWI defense lawyer. In southern California, an experienced Orange County DUI defense attorney may be able to keep charges from being filed or negotiate an acceptable plea agreement. California law gives prosecutors one year from the date of your DWI arrest to file a charge. If that deadline passes, you can’t be prosecuted. Understand, however, that this applies only when no charge is filed. If you’ve simply failed to appear in court, and a year has passed, you aren’t free because of any statute of limitations; in fact, there’s probably a “failure to appear” warrant for your arrest. In California, DUI is a serious crime; in most cases, the state prosecutes it aggressively, and the penalties can be severe. If you are arrested for DWI anywhere in southern California now or in the future, don’t take any chances with your freedom. 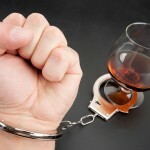 Protect yourself and get legal help at once from an experienced Orange County DUI defense attorney. 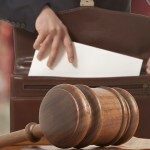 Should You Appeal A DUI Conviction?